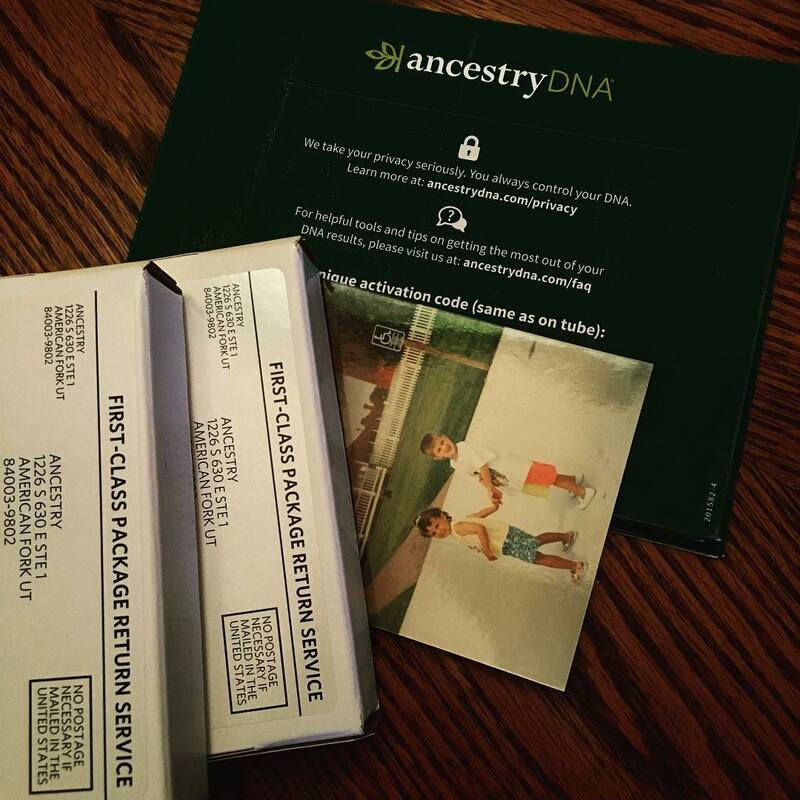 I was able to talk Husband into doing the Ancestry DNA kit a couple of months ago. And it has been a lot of fun, seeing his results and comparing them to some of the connections in his tree. I have not been able to utilize his results to the extend as I had hoped to because I do not know a life’s worth of memories like I do with my own results. I worked on his tree this weekend and I plan on making an excursion to the WV Culture Center at the Capitol for a little in depth digging. But, with his not being as “into” genealogy as me, it makes the DNA searches a little more frustrating. So today both of my adult (don’t let the picture fool you) children agreed to process DNA kits. I have to work on their paternal trees and I do not know some specifics beyond their Grandparents, so that might be a little difficult. However, I am excited (again) to be able to compare their results. They have me in common but two different fathers. Have you ever processed a DNA kit? Did you receive the results you expected? Have you done it for others? Did you find the process difficult or easy? I would love to hear your feedback! Let me know in the comments below! I have been curious about this but I’ve always been nervous about privacy. I’m not so much concerned about the government use of my DNA as I am about insurance companies finding an excuse to raise my rates etc. My husband is a type 1 diabetic and I have had two surgeries in three years for various reasons. My insurance already hates us! Ha! I weighed the pros and cons. Finding the various lines of connections I have with others to certain ancestors – that has far outweighed my concerns.